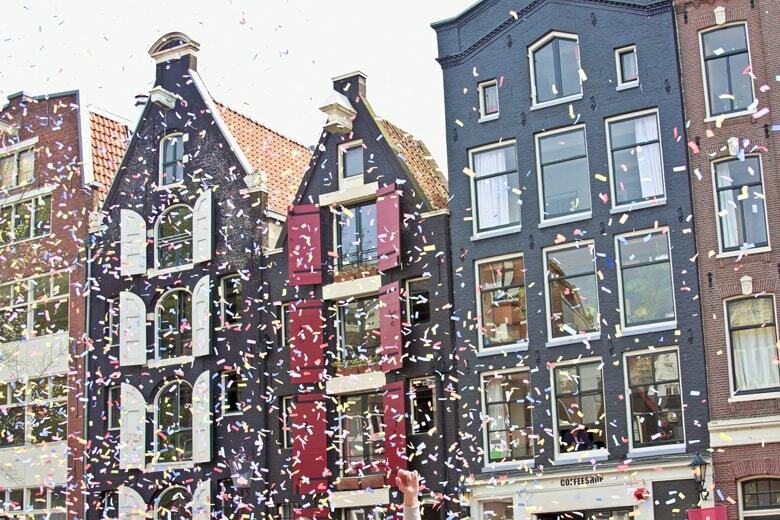 King's Day Amsterdam 2019 | Vrijmarkt Flea Market, Canal Parades, and more! Once a year, the streets of the Dutch capital city of Amsterdam become a sea of orange in celebration of the Monarch’s birthday, affectionately known as King’s Day (or Koningsdag in Dutch), with the country turning into jam-packed canals and uplifting street parties. The city becomes one, huge, open market, with vendors selling everything from second-hand clothes to delicious street food. This is what King’s Day Amsterdam is all about! We’ll run you through all the information you could possibly need about King’s Day 2019 below. For those unfamiliar with the traditions in Holland, King’s Day goes as far back as 1885, when Queen Wilhelmina was born. The residents of the Netherlands enjoyed the party so much that they decided to make a tradition of it, and thus, King’s Day (or back then, Queen’s Day) was born! All the way up until 2014, Queen’s Day was celebrated in the Netherlands, and then ever since King Willem Alexander’s inauguration we’ve started celebrating King’s Day – the name may have changed ever so slightly but the festive spirit lives on! King’s Day is now officially celebrated on the 27th of April, which is King Willem Alexander’s birthday. Not to worry if you forget the date though, as you’ll definitely be able to tell it’s King’s Day by looking outside, with the gridlocked canals, boats filling the waterways of central Amsterdam, and colourfully dressed patriots filling the streets with their music. No matter whether you want to just people watch and observe the crowds, or join in with the festivities and the dancing, it’s an exhilarating experience filled with joy, laughter and good-natured fun. What to Do on King’s Day in Amsterdam? Many think King’s Day isn’t necessarily a child-friendly party. However, as long as you do a bit of planning up front, King’s Day can be absolutely perfect for kids. First of all, they get to try their hand at the vrijmarkt Amsterdam flea market. Literally called the free market, children of all ages can haggle and bargain with prospective buyers and make a bit of extra pocket money. Besides the city-wide King’s Day flea market, there are also plenty of family-friendly activities planned around the city, including face-painting, games and sports events. There are specific areas of the city that are generally the most child-friendly during King’s Day, including, but not limited to; Vondelpark, Amstelveld, Artisplein, Erasmuspark and Sarphatipark. Visit any of these parks and you’ll find plenty of families encouraging their children to embrace the spirit of orange! While King’s Day is perfect for kids, Kings Night is a strictly adult affair! King’s Night happens on the eve before King’s Day and consists of a lot of drinking, eating, dancing and meeting new people. The streets are filled with the smells of delicious street food and music pours from bars and DJ booths, and it goes without saying that if you’re looking for the best King’s Night parties, Amsterdam is going to be the best place to find them! What Time Does King’s Day Start? Of course, the celebrations usually take place all day, but the vrijmarkt officially begins at 6 am so it might be worth turning up early to get most of the good second-hand items that people offer! Other events that require tickets will obviously begin and specific times, but you can guarantee that they will all mostly begin after midday and carry on through the rest of the day, with most events taking place outside finishing at around 8 pm. Where to stay in Amsterdam for King’s Day? The trouble with finding a place to stay during King’s Day is the monumental price hikes and the impossibility of finding a place last minute, as hotels and campsites often, unfortunately, book up the earliest. At HolidayParkSpecials however, you can book a holiday park nearby and spend the day enjoying the orange-flavoured fun in Amsterdam before returning to your peaceful holiday cottage in the surrounding nature. EuroParcs Resort Poort van Amsterdam is a beautiful holiday park on the waterfront and just 15 minutes from Amsterdam. Offering beautiful accommodations and a state-of-the-art wellness centre, this is the perfect place to relax after a day spend celebrating the King.